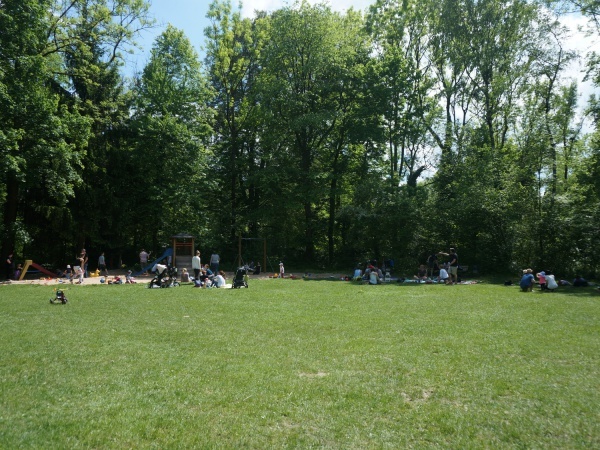 The Bootshaus beer garden is located in the Thalkirchen district of Munich, close to Munich's zoo and within walking distance of the Isar River. The property has existed for about 300 years and was originally an inn for passing delivery carriages. The current building dates back to 1951 and the beer garden has existed since 1960. The property is owned by the City of Munich and leased to NaturFreunde, which is an international organisation spanning 40 countries with the aim of protecting and preserving the nature. The building and restaurant serve as the club house to its members. The Bootshaus is a relatively unknown beer garden in that it is not often mentioned in other beer garden guides. Even the entrance gives passers by a somewhat inconspicuous impression because there is no “Biergarten” sign leading new guests to this idyllic and family friendly beer garden. 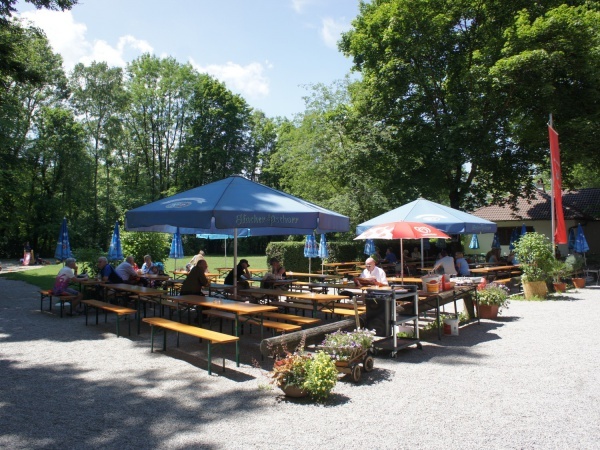 The district Chairman of NaturFreunde Oliver Schimmel says, “the beer garden is known to visitors mainly by word of mouth. The small kitchen is not equipped to cater to too many guests at the same time. On sunny days the beer garden is packed with families, who often unfold their picnic blankets on the large meadow due to lack of available seats and tables”. Bootshaus is enclosed within a fenced area and with only one entrance parents can safely let their kids run around and explore the large property. The beer garden has 250 seats with a mix of regular tables and beer garden benches. There is no serviced area and guests are welcome to unfold their home cooked meals on any of the tables according to Bavarian tradition. Besides Currywurst with french fries, the kitchen offers a variety of traditional Bavarian beer garden meals, such as Obazda and Wurstsalat (sausage salad with vinegar). Coffee and a selection of delicious homemade cakes are also available at the food stall. The prices are reasonable and even a Helles (lager) from Hacker-Pschorr costs €6.50 p/Maß (March 2017). The beer garden is open from March to October when the weather is good from noon.